So I’ve been spending some time recently looking into 3d printing. Before I bought my CNC machine I was on the fence between a 3d printer and a CNC machine. 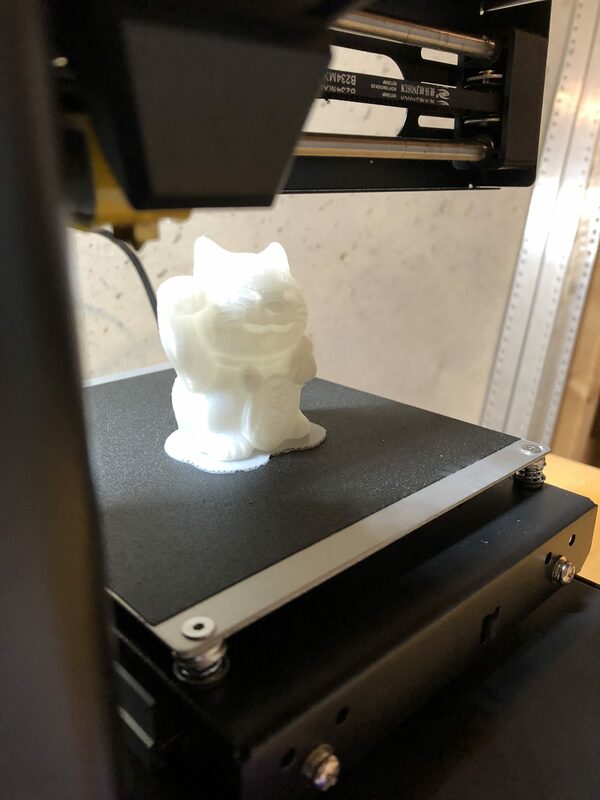 I ended up buying a CNC machine first since it was more practical for what I wanted to start building – but I still had the itch to try 3d printing. As usual – I did a ton of research and it seemed that most machines in the “Prosumer” category were in the $1000 to $4000 range. Spending that much on a hobby I wasn’t sure I’d like wasn’t something I was prepared to do. So I started to look at lower end machines. The more economical machines generally fell into two categories – kit or fully assembled. Since Im a total newb to the 3d printing field I didn’t want to buy a kit, screw up building it, and then end up just getting frustrated – so I focused on machines that were fully assembled. I read 3D hubs 2018 printer review guide and they listed the MonoPrice Select Mini V2 as an option in their budget category. I started looking at it more and then found a $40 off coupon which meant I could get the printer for $180. At that point I figured why not just buy it and see if I even like 3d printing. Long story short – I love it. Im blown away with what’s possible on this machine and excited to keep printing with it. Stay tuned for more 3d printing!